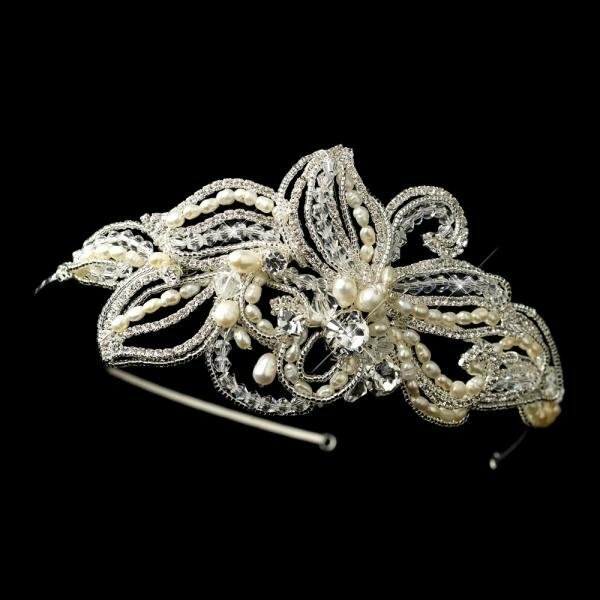 A stunningly beautiful side accented wedding headpiece that features freshwater pearls, Swarovski crystal, bugle beads, and clear cut rhinestones all in a marvellous floral design on a silver band. 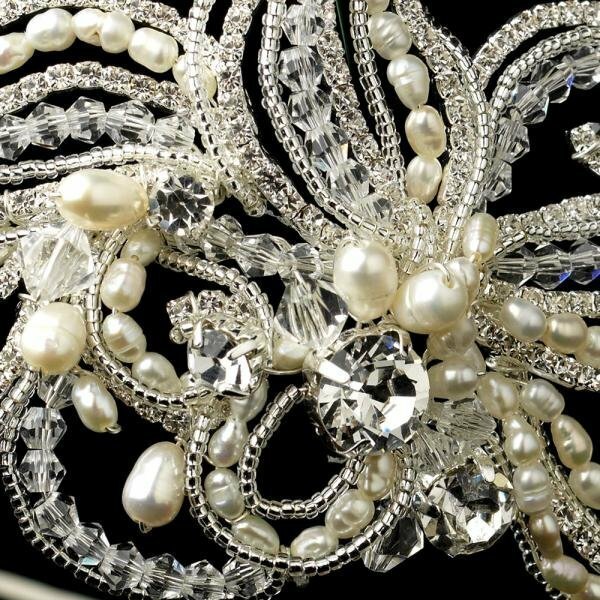 This alluring bridal headpiece will make you feel extra fabulous on your wedding day. Size: 18 cm long x 7 cm wide.